Wham, bam, thank you Sam! We all know the United States is one of the greatest nations on Earth. Its freedoms alone make it one of the most desirable places to live. We can say what we want, when we want. We have the right to choose what job we do, and the ability to work hard, and lead fantastic lives. This year show your love for the wonderful country you live in. 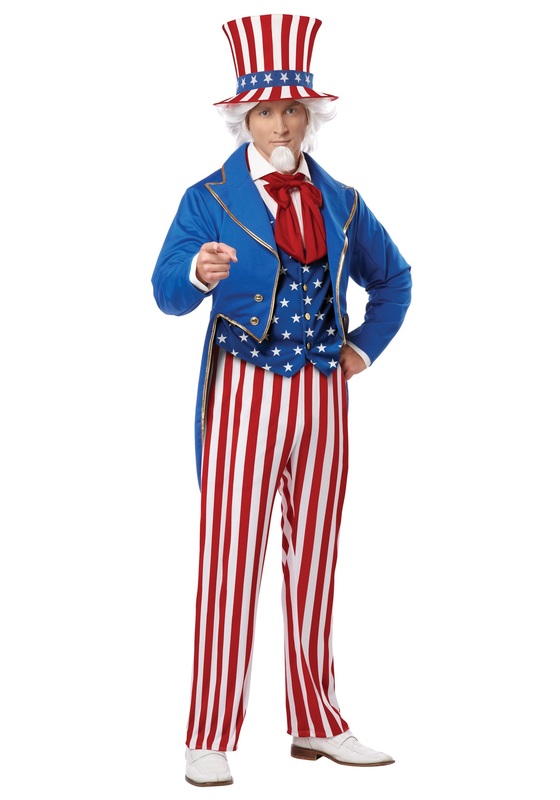 This Plus Size Deluxe Uncle Sam Costume will have people awed from your patriotism. Just slip on these red, and white pants, pull on the star covered vest, and get ready to show your love at the parade. Throw candy to children as you sing the Star-Spangled Banner. (Just don’t forget any of the lyrics.) And once that song gets a little worn you can sing My Country, ‘Tis of Thee. Hopefully that one won’t get old before the fireworks start going BOOM!